Quite the mission reducing ivy of this size. Left any longer and it could have caused the roof serious problems. We even found a satellite dish! 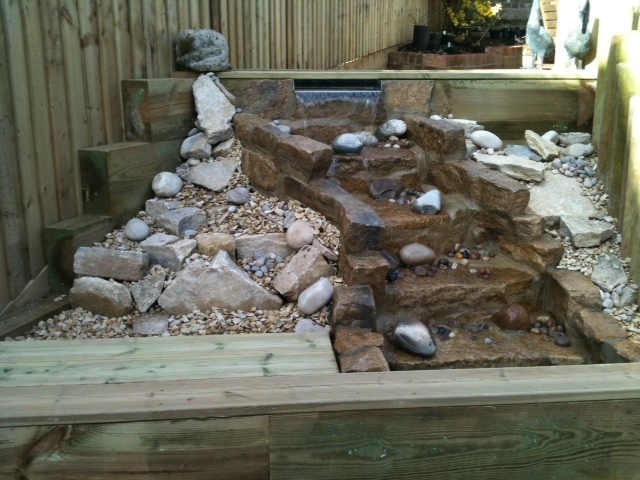 Purbeck stone water feature with a stainless steel one off water spout. Trevor worked tirelessly to get this just right, with an even curtain of water, and minimal splash. Its come out beautifully! 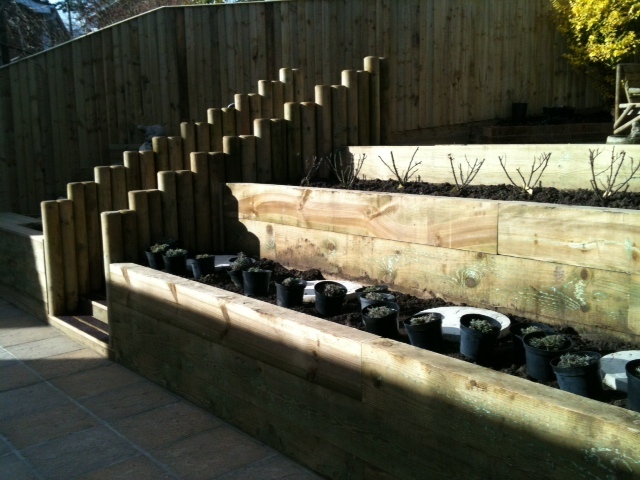 Raised beds made from softwood sleepers. A great way of making plants easy to reach, and helping drainage. 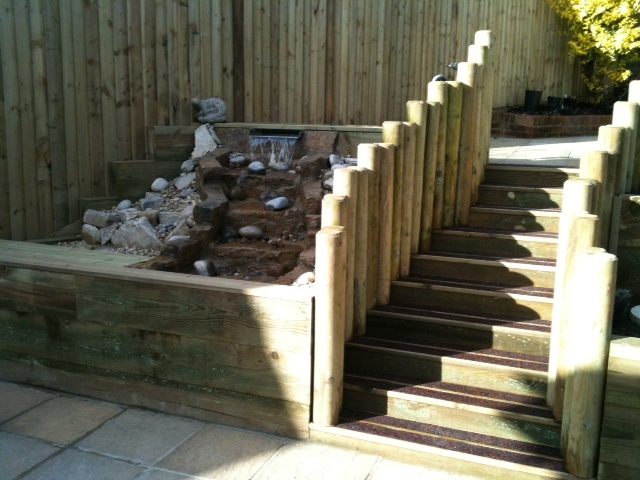 Trevor and John have done a great job completing this technical, steeply stepped back garden in Marlow. A gentle staircase gets one up to the entertaining areas.